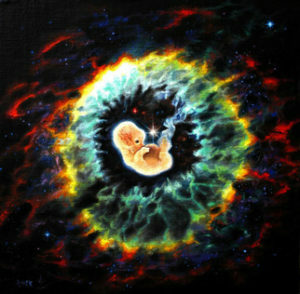 Regarding this unborn, unperishing, eternal, tranquil, unchanging refuge [i.e. the tathāgatagarbha], Śāriputra, the inconceivable, pure dharma-realm (dharmadhātu), I term it ‘beings’ (衆生; sattvas).Why? To say ‘beings’ is (only) a synonym for precisely this unborn, unperishing, eternal, tranquil, unchanging refuge, (this) inconceivable, pure dharma-realm, and so on. With this intention, regarding those qualities, I term it ‘beings’. Considered from a different angle, The Tathāgatagarbha IS their (beings) sattvadhatu. Or, and this is critical to the series as a whole, there’s no Being or Non-Being; there’s only Beingness, awakened or obstructed. When IT is awakened, IT is nirvana; when obstructed IT is samsara. This entry was posted in Anūnatvāpūrṇatvanirdeśaparivarta and tagged Anūnatvāpūrṇatvanirdeśaparivarta, dharmakaya, ekadhātu, Jonathan A. Silk, quintessence of beings, sattvadhātu, Tathāgatagarbha. Bookmark the permalink.